Dimensions 0.75 by 5.50 by 5.75 in. In his first memoir, Richard Dawkins shares a rare view into his early life, his intellectual awakening at Oxford, and his path to writingÂ The Selfish Gene. He paints a vivid picture of his idyllic childhood in colonial Africa, and later at boarding school,Â where he began his career as a skeptic. Arriving at Oxford in 1959, Dawkins began to study zoology and was introduced to some of the university's legendary mentors as well as its tutorial system. It's to this unique educational system that Dawkins credits his awakening.Â In 1973, provoked by the dominance of group selection theory and inspired by the work of William Hamilton, Robert Trivers, and John Maynard Smith, he began to write a book he called, jokingly, "my bestseller." It was, of course, The Selfish Gene. This is an intimate memoir of the childhood and intellectual development of the evolutionary biologist and world-famous atheist and how he came to write what is widely held to be one of the most important books of the twentieth century. About: With the 2006 publication of The God Delusion, the name Richard Dawkins became a byword for ruthless skepticism and "brilliant, impassioned, articulate, impolite" debate (San Francisco Chronicle). 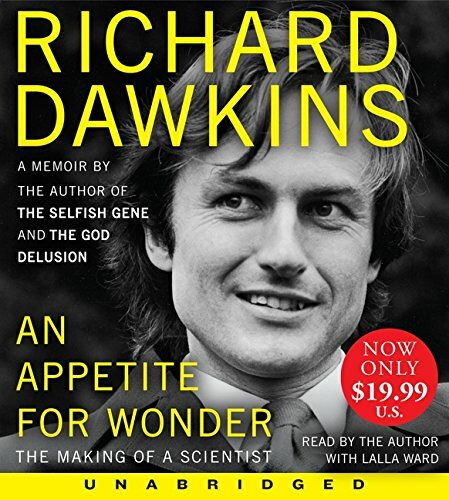 About: In his first memoir, Richard Dawkins shares a rare view into his early life, his intellectual awakening at Oxford, and his path to writing The Selfish Gene.